Yaz is a popular oral contraceptive marketed by Bayer. Yaz is different from many other birth control pills in that it contains a new form of synthetic progesterone called drospirenone. Some studies have suggested that drospirenone may be associated with an increased risk of dangerous blood clots, including deep vein thrombosis (DVT) and pulmonary embolism (PE). Yaz was approved by the U.S. Food & Drug Administration (FDA) in 2006. It is currently indicated to prevent pregnancy and to alleviate moderate acne in women over the age of 12 who wish to use birth control pills to prevent pregnancy. Yaz is also approved to treat symptoms associated with premenstrual dysphoric disorder (PMDD). Yaz contains the hormones drospirenone and ethinyl estradiol to prevent ovulation. These hormones also cause changes in a woman’s cervical and uterine lining, which makes it more difficulat for sperm to reach the uterus and harder for a fertilized egg to attach to the uterus. Yaz is the only oral contraceptive that inclues 24 active pills (contain hormones) and four inactive pills. 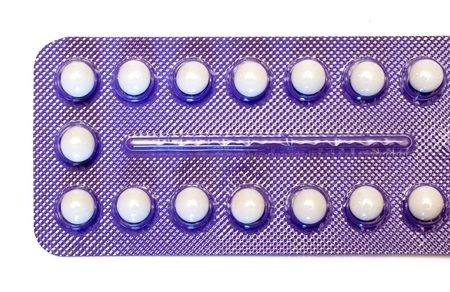 Most birth control pills include seven inactive pills. As a result, women who use Yaz receive a higher dose of hormones through the month. In April 2012, the FDA announced label modifications for Yaz and other oral contraceptives that contain drospirenone, after the agency concluded that such birth control pills might be associated with a higher risk of blood clots compared to other types of pills. Since 2008, Bayer has received two FDA warning letters regarding marketing materials for Yaz. The first, dated October 3, 2008, asserted that certain Yaz “TV Ads are misleading because they broaden the drug’s indication, overstate the efficacy … and minimize serious risks, associated with the use of the drug.” The FDA was concerned that the commercials implied that Yaz could treat severe acne and PMS, when in the fact the drug is only indicated to treat moderate acne and PMDD. Bayer ultimately ran a $20 million marketing campaign to correct the issues cited in the FDA’s letter.